SSL offer various scalable options based on our five (5) and seven (7) container fire and rescue training models. The inclusion of specialized rescue units, aviation modules, helideck facilities, fire behaviour modules, safety monitoring, and communication control units presents SSL’s clients with the ability to raise the level of safety and learning for the individual as well as teams when it comes to Safe Realistic Progressive Training. 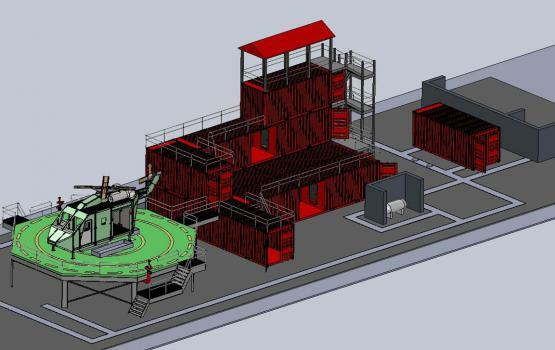 Modular Fire Training Facility (MFTF™) can be customized to suit your needs. Please see the options below. If you have any questions, please contact us.